Due to the improvements of dysarthric automatic speech recognition (ASR) during the last few decades, the demand for assessment and evaluation of such technologies increased significantly. Evaluation methods of ASRs are now required to consider multiple qualitative and quantitative metrics. In this study, the exploratory factor analysis is conducted to classify the evaluation metrics that is applied by researchers. The metrics with high Pearson correlation coefficiency (\(r > .9\)) are placed in same groups so the number of metrics from 23 is reduced to six main metrics. 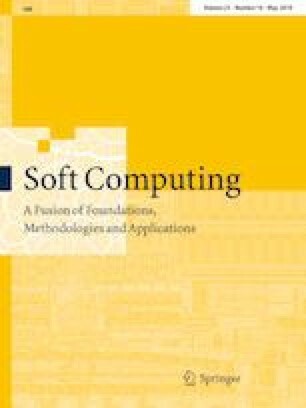 Artificial neural networks (ANNs) do not require any internal knowledge of system parameters and provide solutions for problems with multi-variables while delivering speedy calculations; hence, they can be used as an alternative to analytical approaches based on obtained evaluation metrics. Here, the adaptive neuro-fuzzy inference system (ANFIS) was employed for ASR performance evaluation in which it applies an ANN to estimate the fuzzy logic membership function parameters of the fuzzy inference system (FIS). The proposed algorithm was deployed in MATLAB and employed to measure the performances of two dysarthric ARS systems based on MVML and MVSL active learning theories. The assessment results presented in this paper show the effectiveness of the developed method. This paper was funded by University of Malaya Research Grant (UMRG), Project No. RP003B-13ICT and UM High Impact Research Grant UM-MOHE UM.C/HIR/MOHE/FCSIT/05 from the Ministry of Higher Education, Malaysia. The authors declare that there is no conflict of intrest.